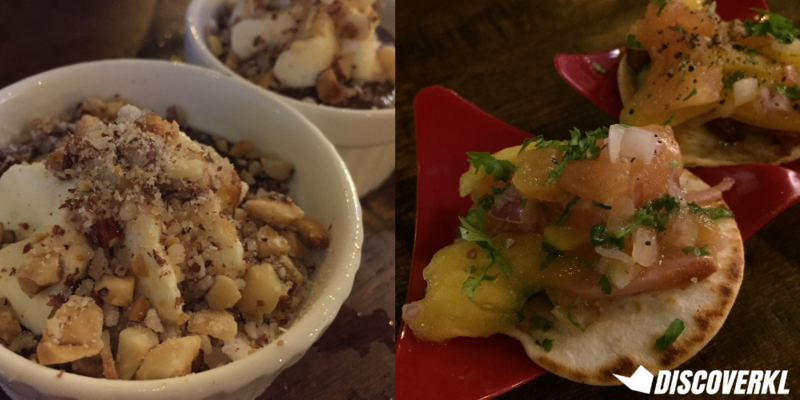 This Spanish Iberico Specialty Restaurant Just Launched In Tropicana Avenue! Before Curious Kitchen was born, there was Curious Grocer, a specialty grocer in Malaysia, focusing on fresh produce. 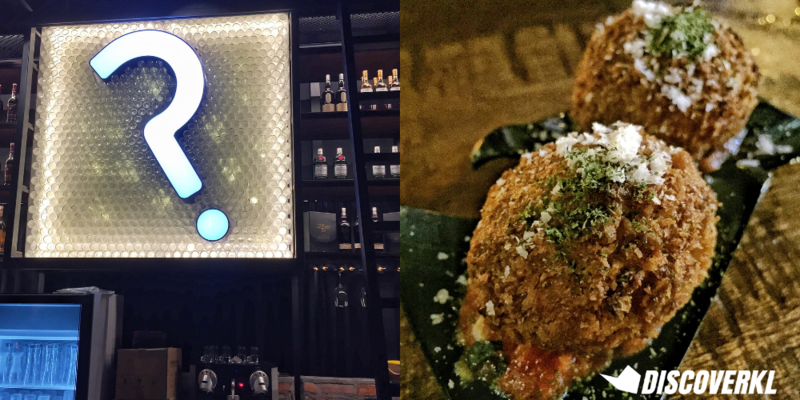 Now, the same folks behind the Curious brand has delivered once again with their new restaurant in Tropicana Avenue. 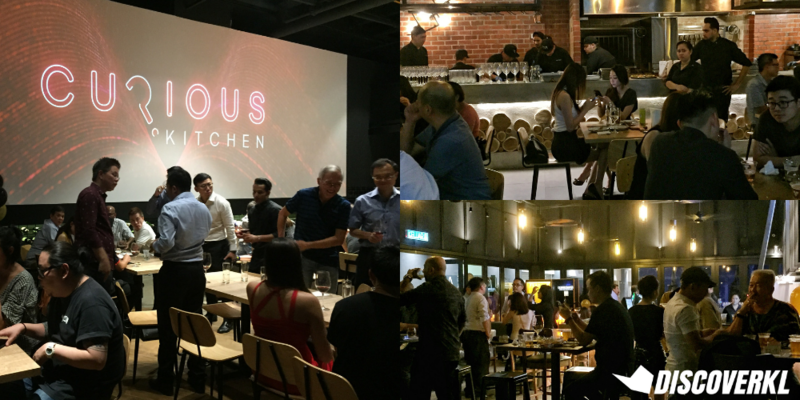 For the launch of their full-fledged restaurant, the DiscoverKL team was invited to enjoy a spectacular opening night, complete with canapés and a free flow of drinks. Andrew, the co-founder of the eatery mentioned to the team that one of the objectives of opening up this restaurant is to promote this place as an alternative for people to come and have a good time with their friends. While there are a plethora of such places out there, what sets Curious Kitchen apart is its concept space. The restaurant is split spaciously into 3 sections: the air-conditioned lot, an alfresco bar and a dining area with an open kitchen concept so you won’t miss any of the action in the cooking space. The purpose of having such a concept is to cater to the masses. Families can enjoy their meal with their kids in the air-conditioned lot, whereas those who are here for a night out can head straight for the alfresco bar. The restaurant does not have a specific cuisine and focuses mainly on great ingredients and premium produce. But one thing’s for sure, you’ll find top notch Spanish Iberico pork here. During the launch, we managed to have a taste of what’s to come for Curious Grocer through the canapés served. They even had a live band and dance performances to bring the night to life. 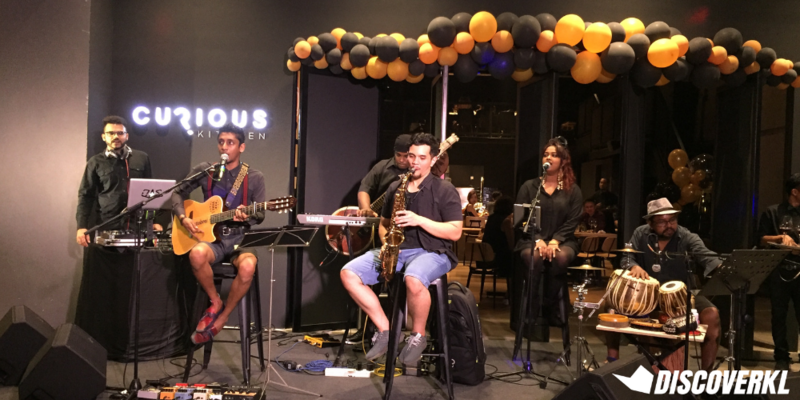 As we swayed to the tunes of popular cover songs, we tucked into the finger food served. 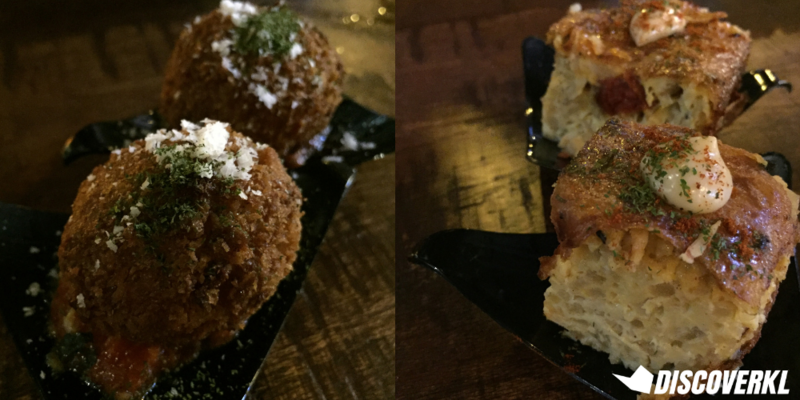 We first tried their Mushroom & Smoked Duck Croquettes and it was delicious! If you’re a fan of croquettes just like us, you’d know to expect a textural sensation as you bite into one. That layer of golden fried crumb on the outside is on point as you’d hear the crunch sound to prove that it has been fried to perfection. Moving on to the velvety interior where you can taste the flavourful mushroom and the smokiness of the duck, it elevated the delectable croquette. Next, the servers came by and served us the Chorizo & Potato Frittata that at first glance looked like a fried tofu. However, this frittata is everything you can ever ask for, as it is well-balanced in texture. You’ll get a mouthful of satisfying flavours: from the saltiness of the chorizo to the soft tofu-like texture of the cheese that melts in your mouth like marshmallows over fire. Next, we tried the Smoked Duck and Jackfruit Tacos that were served on tiny wraps with some tomato and jackfruit salsa. The finger food was a perfect balance of citrus and savoury from both elements of the canapé. It’s basically an explosion of Mexican flavours. To end the night, we had Curious Kitchen’s Chocolate Mousse, which was topped with peanut crumbles and cream. The chocolate was absolutely decadent in flavour and is rich and velvety just like how you’d expect a mousse to be. Meanwhile, the peanut crumbles gave it that much-needed texture and contrasted the sweetness of the dish well. 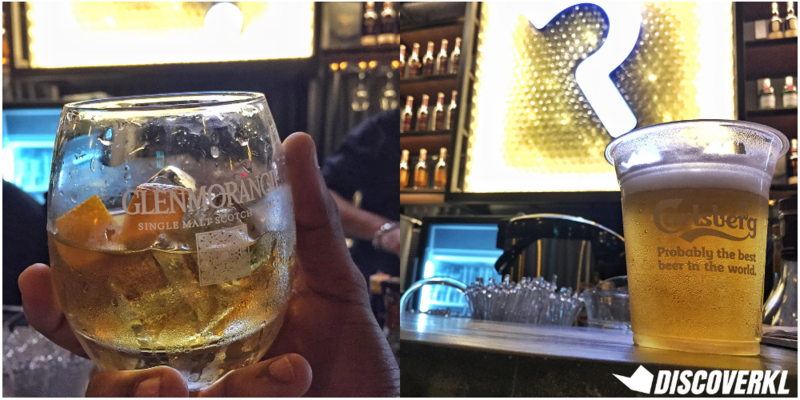 There was a free flow of alcohol during the launch and we had the opportunity to sample several different kinds of booze. 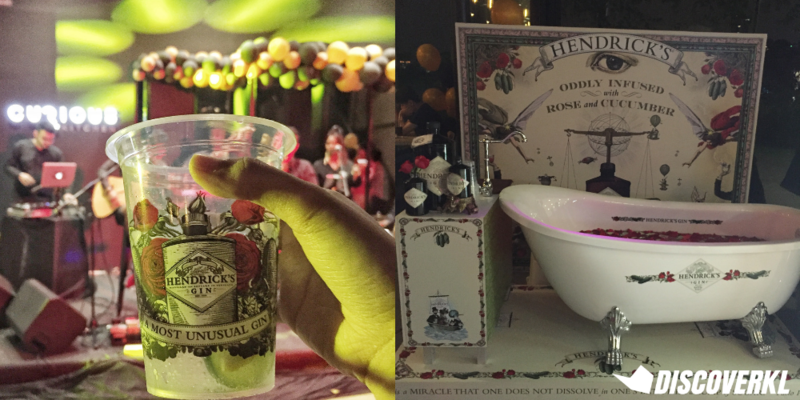 Hendrick’s Gin had a whole booth for themselves and their set up even included a bathtub filled with water and rose petals floating atop. We went with the iconic Hendrick’s Gin & Tonic as it was our favourite and if you’re a fan of gin and tonic, I’m telling you now that a glass of this alcohol isn’t enough and you certainly would want more after you’re done with the first glass. After a few canapés, we were also served with a glass of their best Glenmorangie Single Malt Scotch, and it was better than we had expected. As a frequent drinker of the famous Gin & Tonic, who knew that the scotch would actually blow my mind away, and that I would actually want more of it. A perfect accompaniment to the tapas served that night. What we had was certainly just a taste of what Curious Grocer has to offer but judging from the concept itself, it’s pretty promising. Next time, the Spanish Iberico pork for sure!